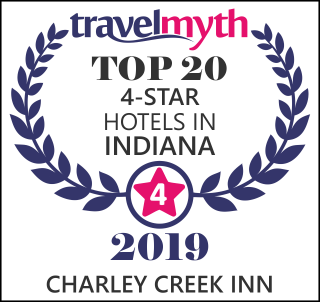 This year, forget the ties, the after-shave, and the campy boxers, and give Dad something he'll remember for years to come – a Wabash getaway at the Charley Creek Inn. Indulge Dad with luxurious accommodations in a beautifully restored building right in the heart of historic downtown Wabash - he’ll love strolling along the sidewalks of the downtown historic district and taking in the architectural splendor of some of the city’s most famous structures, many of them listed on the National Register of Historic Places. For a scenic change of pace, the Paradise Spring Historical Park & Riverwalk is located nearby. And Dad can browse at the Crow’s Nest Antique Mall, or take in a show at the historic Eagles Theater or the Honeywell Center. Be sure to include a stop to The Shoppes of the Inn, where Dad can sample a variety of fine wines, craft beer, gourmet cheeses, small-batch spirits, cigars, ice cream and candy. Why not make it a family getaway, and visit our many local and regional attractions? 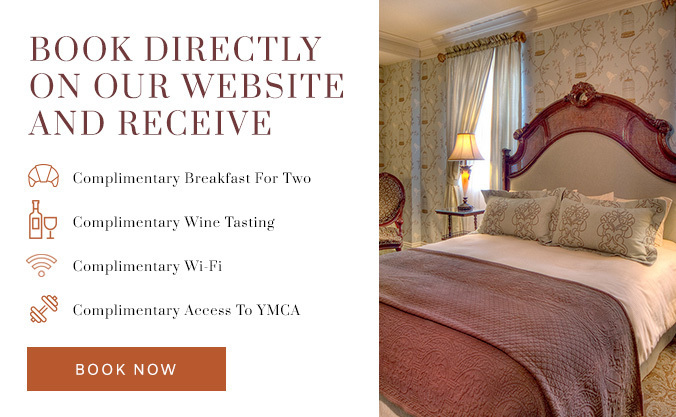 For information on reservations and special getaway packages, visit: http://www.charleycreekinn.com/hotel-deals-in-wabash, or call (260) 200-3996.